Stunning views of the 14th Fairway greet you as your walk through the front door. Two-year young, heated salt water system screened pool with spa and outdoor kitchen. The home boasts elegant features and updates throughout. 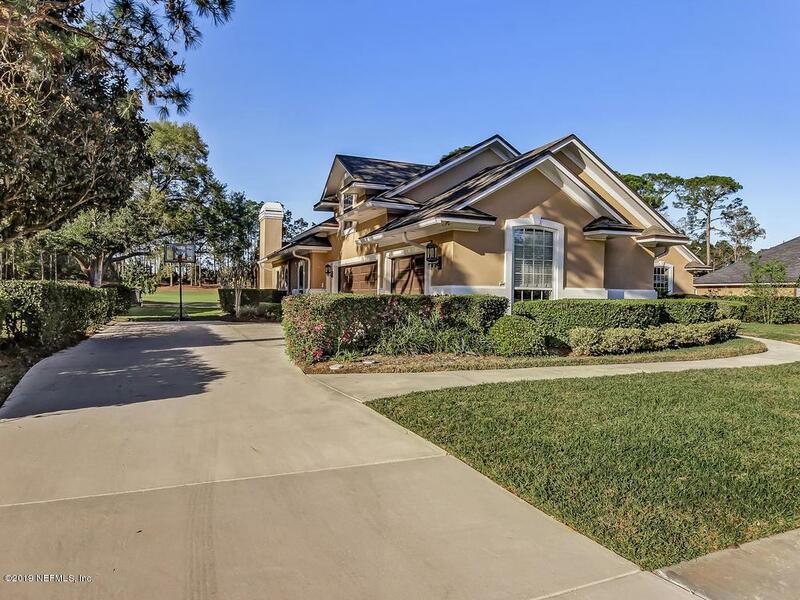 The 3-car side-entry garage has room for your golf car! Separate formal living & dining rooms, eat-in kitchen with breakfast bar, granite, wood floors downstairs, split-bedroom design, family room with gas fireplace. Designer tile through master bath and kitchen. Bonus room upstairs, with full bath & new carpet, could serve as a second master. 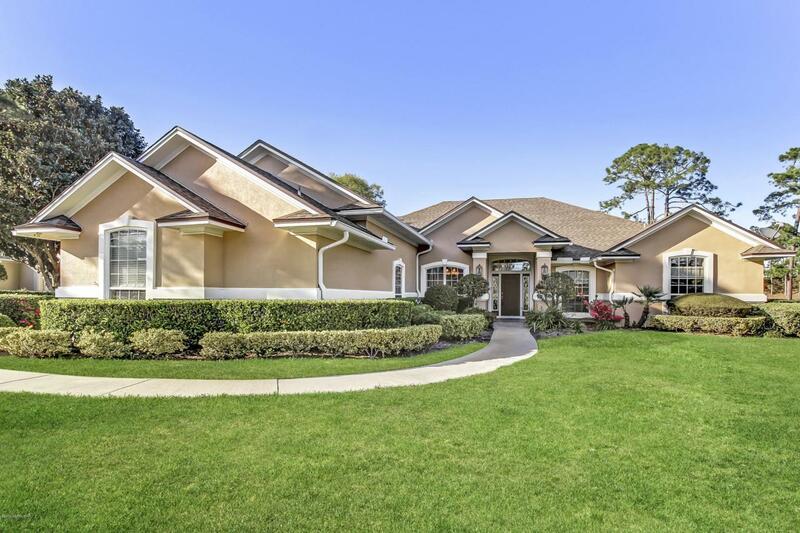 Jacksonville Golf and Country Club welcomes you to enjoy the Clyde Johnston golf course, 10 Har-Tru tennis courts, and social private memberships. Pool, spa, gym, kids clubhouse, and first-rate restaurant in the elegant clubhouseKids (and parents) enjoy the summer camps and everyone enjoys the chef-inspired meals that you can enjoy in one of the on-site dining rooms or take it home for an easy night. The community is just minutes to the beach, JTB, Mayo, St Johns Town Center, A-schools, downtown, Mayport, Beach Blvd.